There are many ways your home or business can be affected by water damage. From leaky appliances to flooding, structures are vulnerable. Of course, there’s one potential problem associated with water damage that very few people talk about: mould. But when water and moisture are present, mould can easily hide—and thrive—until it becomes a really big problem. When it comes to restoring your property after water damage, there are a number of steps you’ll need to take. The professionals at Paul Davis can help you get to each step quickly, which is extremely important when you’re facing the possibility of mould. 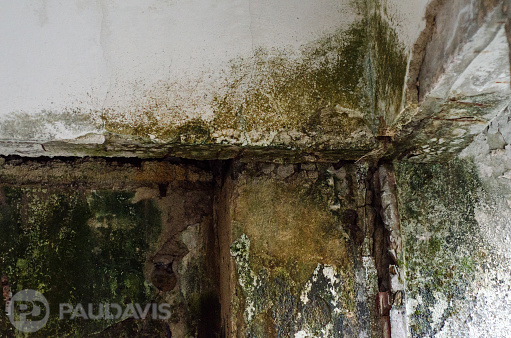 From water extraction to assistance in filing an insurance claim, Paul Davis can help protect you from the dangers that come when mould isn’t dealt with quickly. Mould and mildew have been known to build up over time in damp areas. In fact, there are up to 300,000 types of mould in the world. Each one requires specific scenarios to thrive, but it’s widely known that most moulds grow best in warm, damp areas with inadequate ventilation. This is why attempting to dry flooded areas in your home and business yourself isn’t recommended—unless the affected area is very small and on a hard surface such as glass or tile. Moulds also need nutrients such as wood and cardboard, fabrics or even dead skin cells. So depending on what materials were used to build your home or office, you can see how mould might be able to thrive in your structure. A little bit of mould isn’t bad. In fact, many homes and businesses often have small amounts of mould or mildew present (think: the bathroom or the kitchen). But when the amount of mould in your home exceeds normal levels, as it can when it’s given a perfect damp, dark area to grow in, it can affect your health, your possessions and even the structure of your home or office. Mould can start to grow in areas damaged by floods in as few as 24 hours. Some materials like carpeting have been known to grow mould very quickly. That’s why it’s so important to dry out the area and remediate flood damage quickly. Anytime water or mould is found, This Is No Time For Second Best™.